Greetings one and all! I hope you are doing well and loving life. Once again, I invite you to take a deep breath, pour a cup of coffee or hot tea, and relax. Today, I want to chat about caring from a distance, long-distance caregiving. As we all know, caregiving is a challenging journey. And it becomes even more challenging when caring from a distance—just another layer of complexity, expense, and emotional stress. 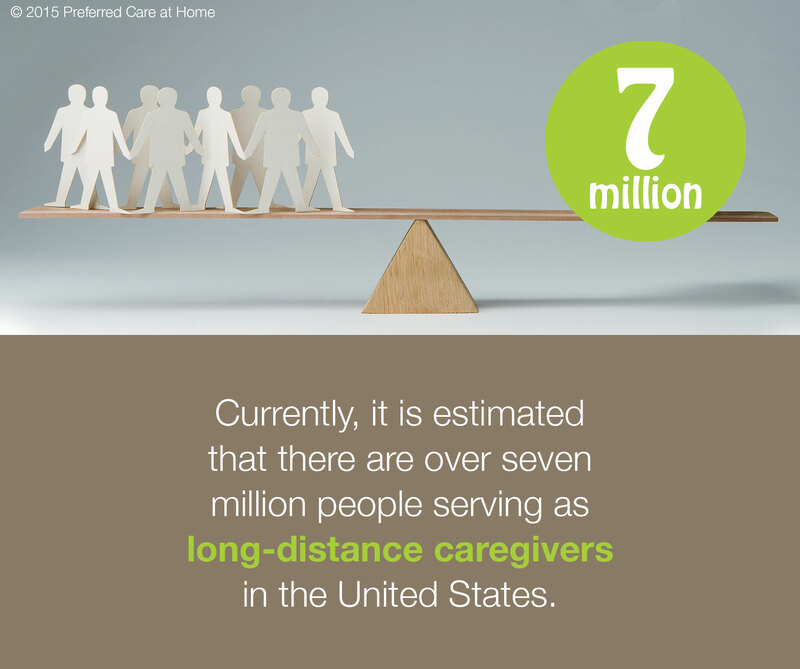 Currently, it is estimated that there are over seven million people serving as long-distance caregivers in the United States. According to the National Institute on Aging, if you live more than one hour away from the care receiver, you are considered a long-distance caregiver. Because our society is mobile and families are geographically dispersed, caring from a distance is and will continue to be a concern for most families. Over the past decade, I have listened to the stories of many caregivers. Quite often, people are prompted to speak out of fear or frustration—seeking guidance, advice, and/or resources. More often than not, proximal caregivers (those who live in close proximity to the care receiver) express angst and consternation related to long-distance family caregivers. The proximal caregiver feels burdened with the responsibility of care and resents being scrutinized, questioned, and even criticized by long-distance family members. But the long-distance caregivers have their own burden to bear. Quite often, long-distance caregivers feel tremendously guilty because of their physical absence and consequently struggle with how to participate in the process. Needless to say, this creates tremendous tension within the family system. Financial Support—Assist with medical, housing, and/or in-home care expenses. Emotional Support—Routinely contact the proximal caregiver and the care receiver. Offer support. Listen well. Daily Contact—Send daily messages (emails, texts, Tweets, or Instagrams) to break the sense of isolation experienced by so many caregivers and care receivers. Respite for the Proximal Caregiver—Periodically, offer to fill-in as the caregiver for a long weekend or extended vacation. Everyone needs a break! Research Assistance—Conduct the time-consuming research needed to understand complicated disease processes, identify needed and available healthcare resources, file insurance claims, apply for social services, and pay online bills. Serve as Communicator—Provide regular updates to concerned family and friends. Create networks of communication using CaringBridge.org and develop collaborative care teams using LotsaHelpingHands.com. Although long-distance caregiving adds to the complexity of care, the challenge is not insurmountable for individuals or families. If you and yours are willing to band together for the purposes of planning, collaborating, and effectively communicating, a sustainable plan of care is possible. Although caring from a distance poses many challenges, there are numerous opportunities to creatively collaborate in order to provide compassionate care.